When American Ballet Theatre soloist Skylar Brandt's phone lit up with a message from Julian MacKay last summer, she never could have imagined the journey it would set her on. 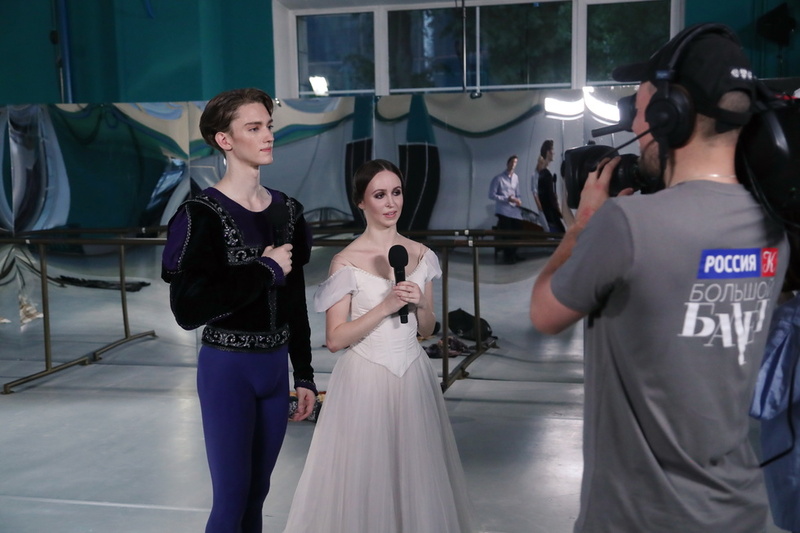 Brandt barely knew the Mikhailovsky Ballet soloist—they'd met briefly in St. Petersburg a few months earlier—but he wrote that he had a project he thought she'd be perfect for. Brandt was flattered, but assumed she'd be unavailable. She'd just come off an eight-week season with ABT and was in Los Angeles finishing up a tour. But MacKay was insistent. The next morning, Brandt was brushing her teeth when his sister, Maria Sascha Khan, called. "She explained that Julian was in Paris rehearsing for a Russian TV show called 'Big Ballet' and his partner had gotten injured. She asked if I could come to Paris immediately, as the show started filming in Moscow in one week."